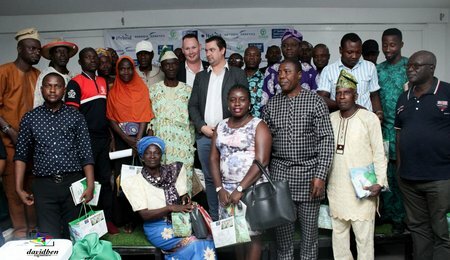 - First turkey management seminar in Nigeria highlights the ease of starting your own turkey farm "Ese ti ewa si bi semina wa alakoko ti tolotolo !" 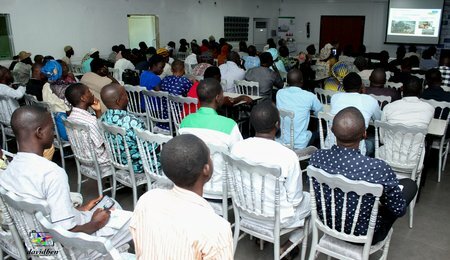 First turkey management seminar in Nigeria highlights the ease of starting your own turkey farm "Ese ti ewa si bi semina wa alakoko ti tolotolo !" 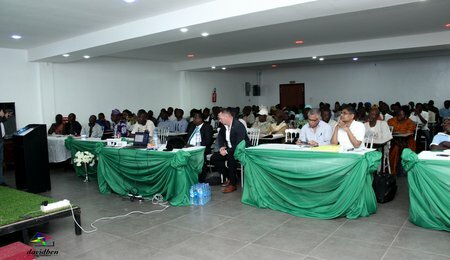 Kevin Le Romancer, Sales Export Specialist and Valentin Theneau, Technical Services Specialist of Hendrix Genetics were pleased to host about 150 people at their first seminar in Ibadan, Nigeria on the 31st of October. Nigeria is a huge Sub-Saharan country that is actively developing turkey production. 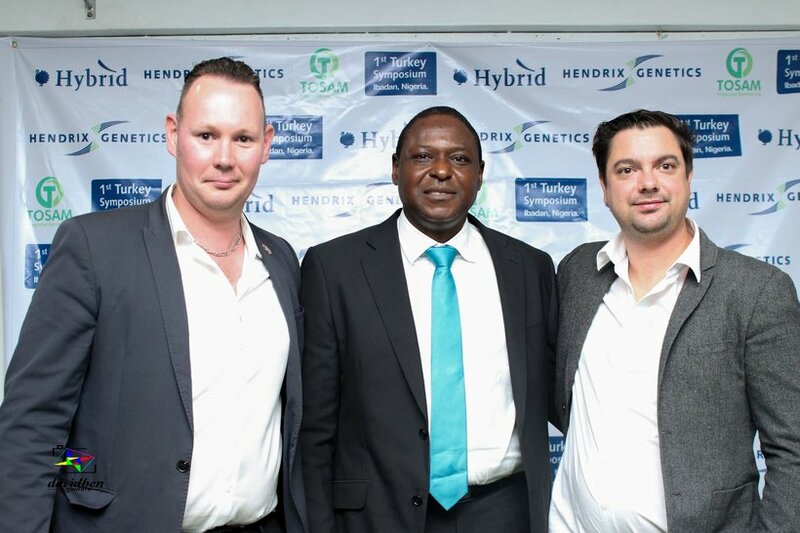 Samuel Elijah, CEO of Tosam Integrated Services Ltd and a commercial partner with Hendrix Genetics made a short introduction to start the seminar. 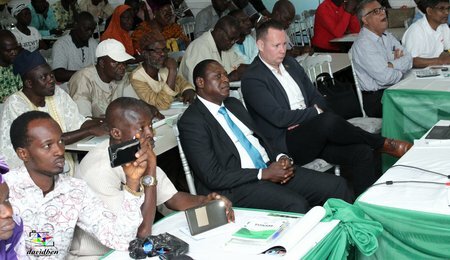 He highlighted that Nigeria is full of potential development in the future. Next on the agenda was Kevin Le Romancer who presented information on the Hendrix Genetics Group and encouraged attendees to start their own turkey business. 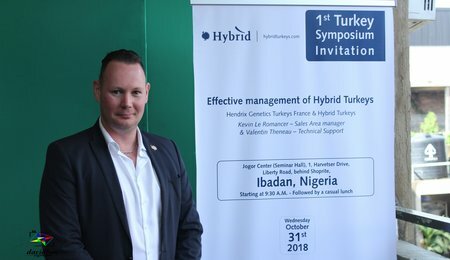 As a representative of Hendrix Genetics and Hybrid Turkeys, we believe in the development of animal production in Sub-Saharan Africa, and Nigeria as well. 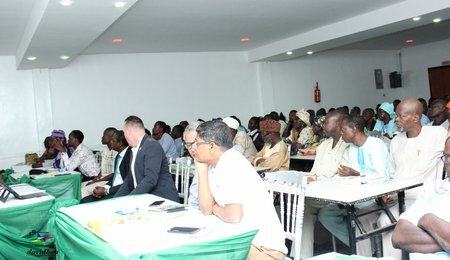 Today, with this seminar, we are taking a first step towards building a strong and powerful turkey market in Nigeria. With our products, we can offer to the Nigerian population an affordable, healthy meat. The main topic for the seminar was “Effective Management of Hybrid Turkeys”. 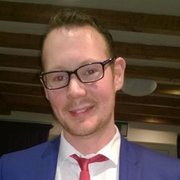 Valentin Theneau gave the ‘keys to succeed’ in turkey production, from day old poults to the end. He also highlighted the key economic factors in order to have a good return on investment. Let’s go back to the basics on turkey production! This means we need to apply simple things, every day, in order to achieve full genetic potential of each bird. To get a comfortable area for the birds: 850kgs of wood shaving litter. The seminar concluded with a discussion on the difference between broiler chicken feed and broiler turkey feed. Dr Shashikant, from Happy Turkey Feed Company, explained that the birds are different and the feed should be in accordance with the needs of the turkey. On Crude protein levels, for example, Dr Shashikant stated that chickens need 21% of crude protein with 3 000kcal in the starter feed. On the contrary, in turkey production the turkeys need a higher crude protein level with a lower energy level; around 26% crude protein with 2 900kcal. Hybrid Turkeys breeds should be fed with proper feed based on the Hybrid Turkeys feed specifications, which can be found online at http://resources.hybridturkeys.com/commercial/feed.